“Madagascar Live! Operation: Vacation” premieres at Busch Gardens Tampa! Get ready to move it, move it! 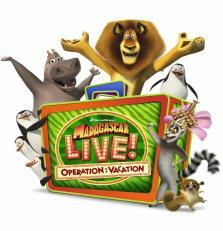 Saturday, May 18, Busch Gardens Tampa will unveil its newest live stage show, “Madagascar Live! Operation: Vacation”. 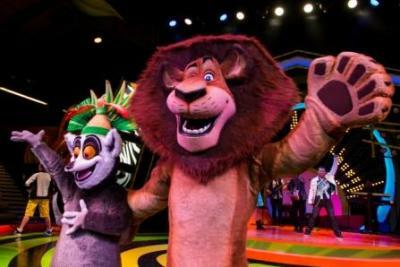 Guests will party alongside their favorite characters from the hit “Madagascar” movie series, including Alex the Lion, Gloria the Hippo and King Julien! To go along with the show’s premiere on Saturday, the park is hosting a weekend-long party with on-the-hour dance parties and character meet and greets in the newly renovated Stanleyville Theater. In addition, famous animal expert “Jungle Jack” Hanna will share animal facts and travel tales during shows at 11 a.m. and 1:30 p.m. each day of premiere weekend! The live stage show will encourage families to sing, clap and dance along to original songs and party favorites during the 20-minute musical adventure. Following the show, guest can continue the party at the Gwazi and Cheetah Hunt plazas. This Saturday night ONLY, May 18 the Gwazi Plaza will remain open for 30 minutes after park closing for a special character meet and greet, followed by a fireworks spectacular at 8:30 p.m.
“Madagascar Live! Operation: Vacation” premiere weekend is one party you don’t want to miss! For tickets and more details visit Busch Gardens Tampa online or call 1-888-800-5447. Admission to “Madagascar Live! Operation: Vacation” is included in regular admission price.